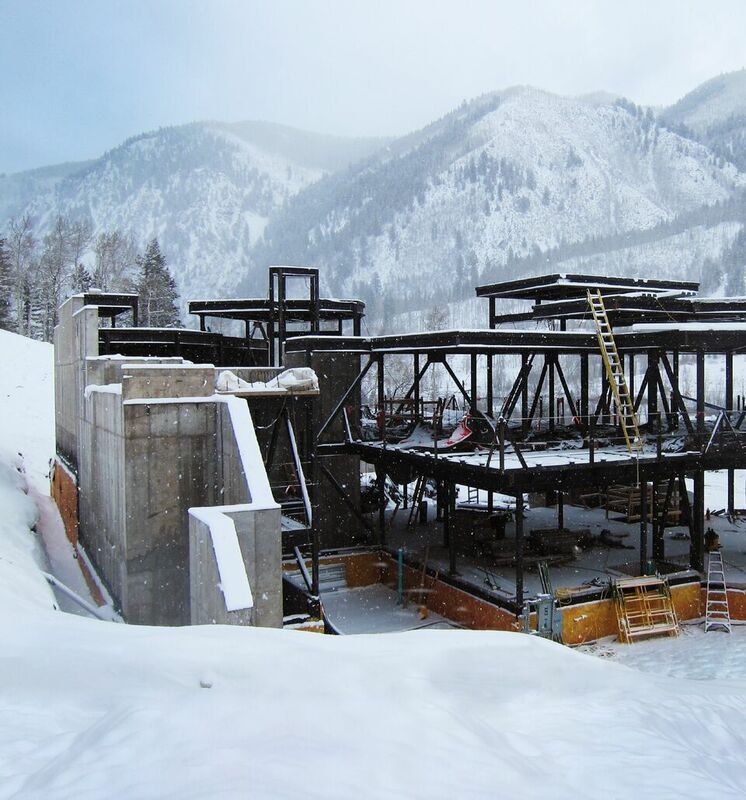 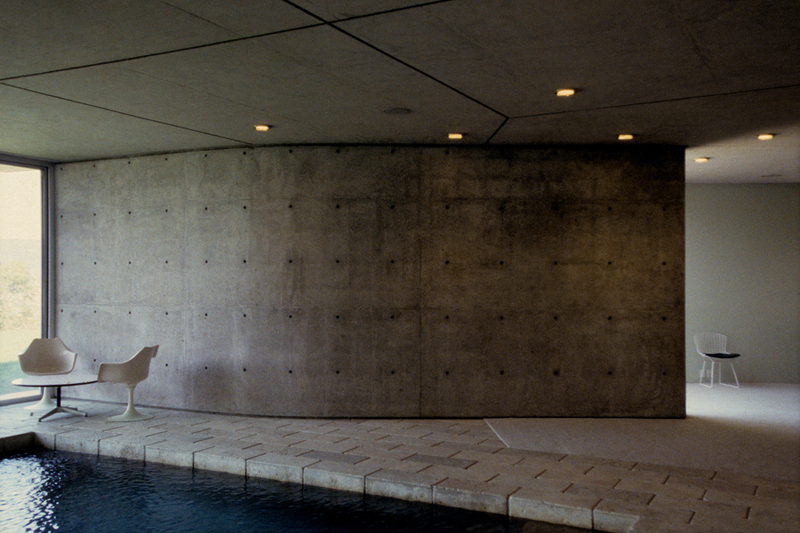 Since 1994, Aspen has been a primary base of operations for our architectural and landscape projects in the West. 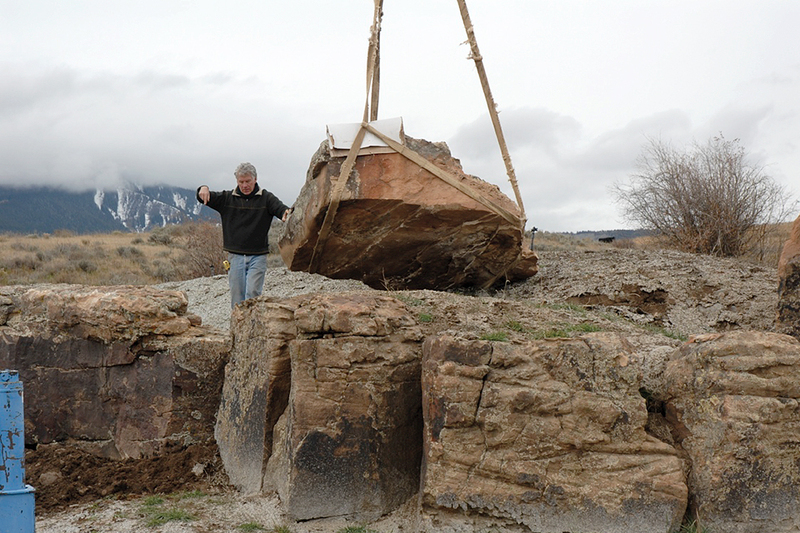 Over the years, we have cultivated sources for extraordinary boulders, ledge rocks and characterful native trees and have completed large-scale projects in Colorado, Montana and California, with a spectacular new project underway in Washington just east of Seattle. 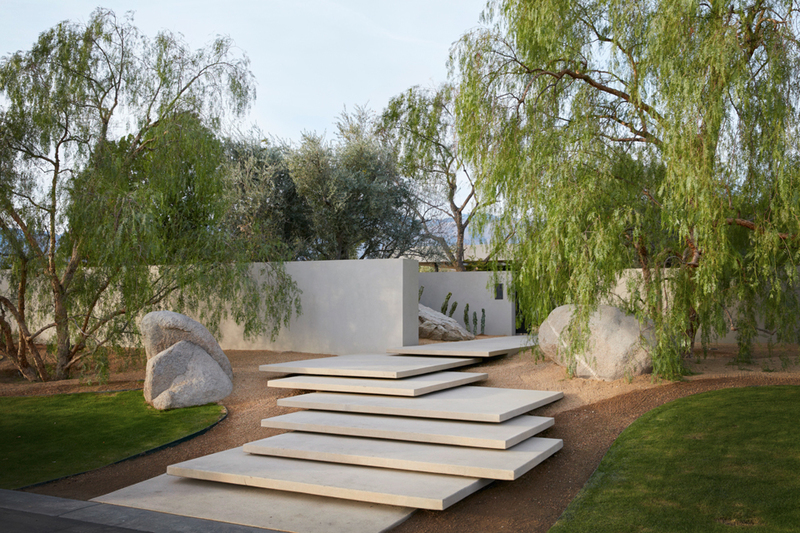 Medina Lake Front Landscape: In one of the most coveted addresses in the Seattle area, Madderlake is designing a spectacular native landscape for a new home by Kristi Hanson Architects, using massive granite boulders and remarkable trees sourced from Oregon and Washington. 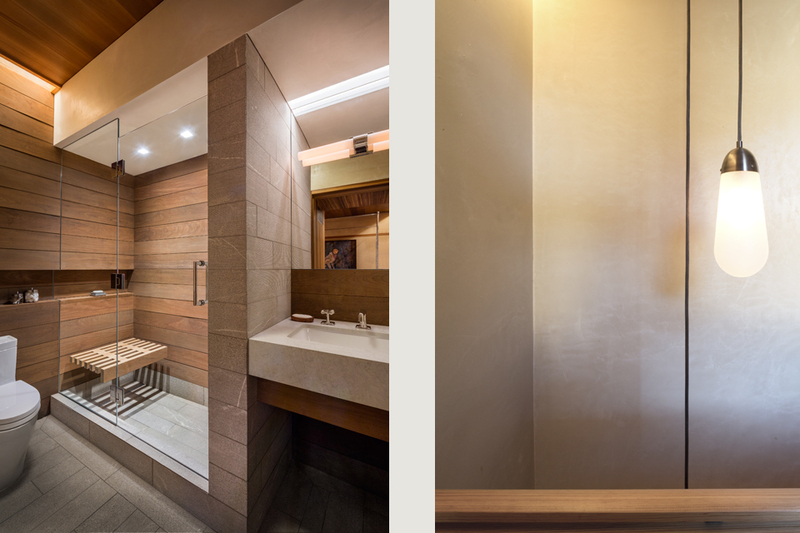 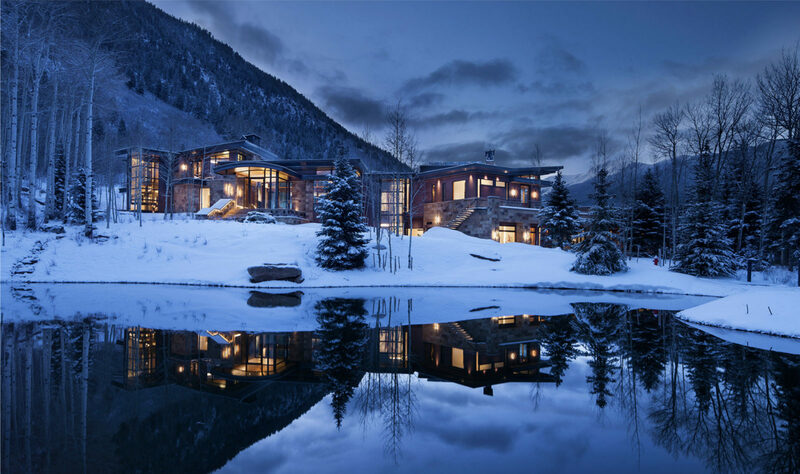 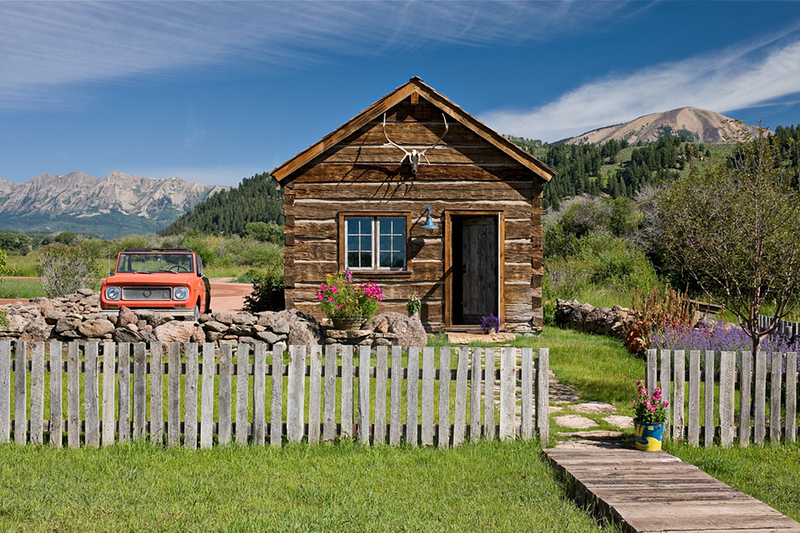 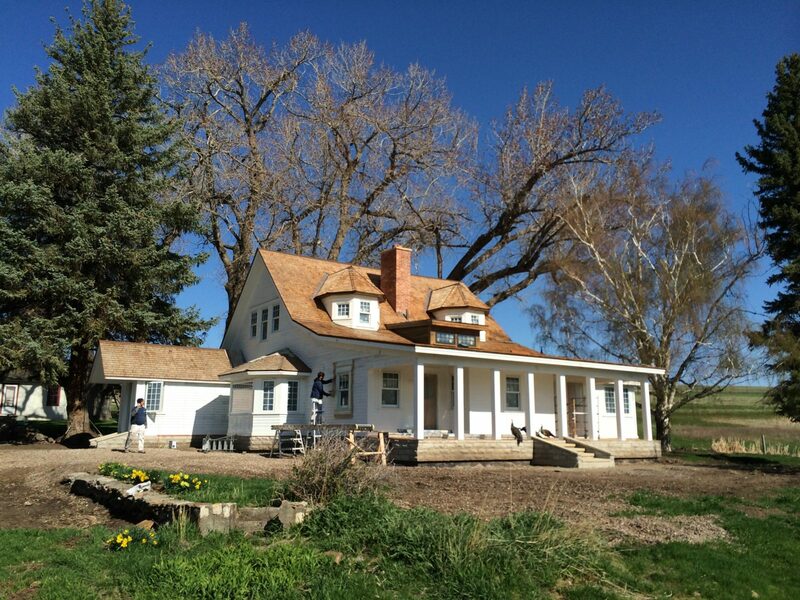 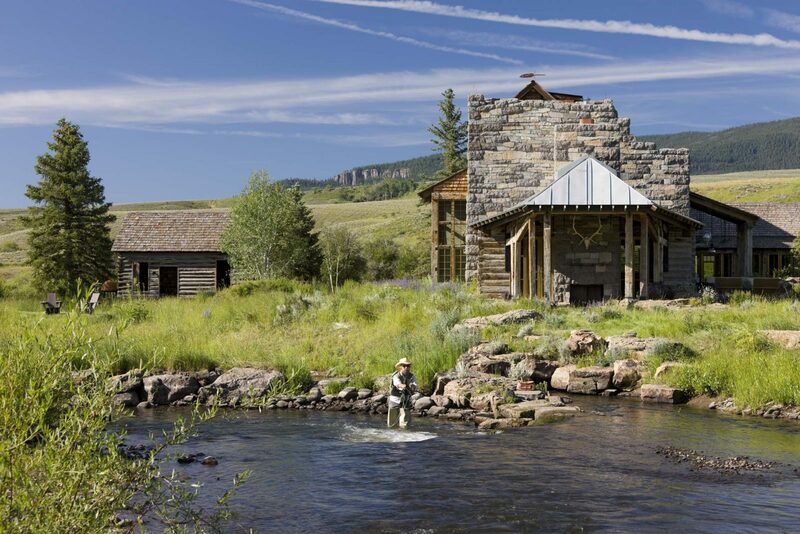 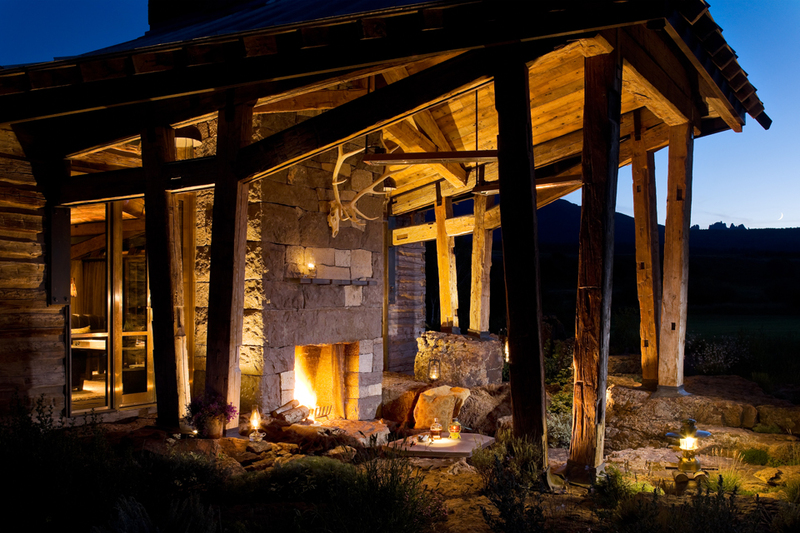 Conundrum Creek: our first Aspen residence, located in the spectacular Castle Creek Valley. 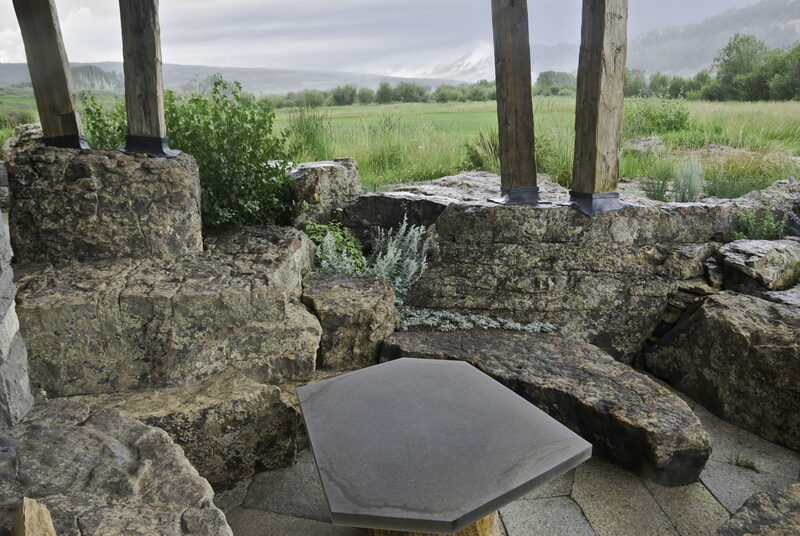 Aspen Park: an expansive landscape for a mountain home, including pond, streams, wildflower meadows and massive boulder work. 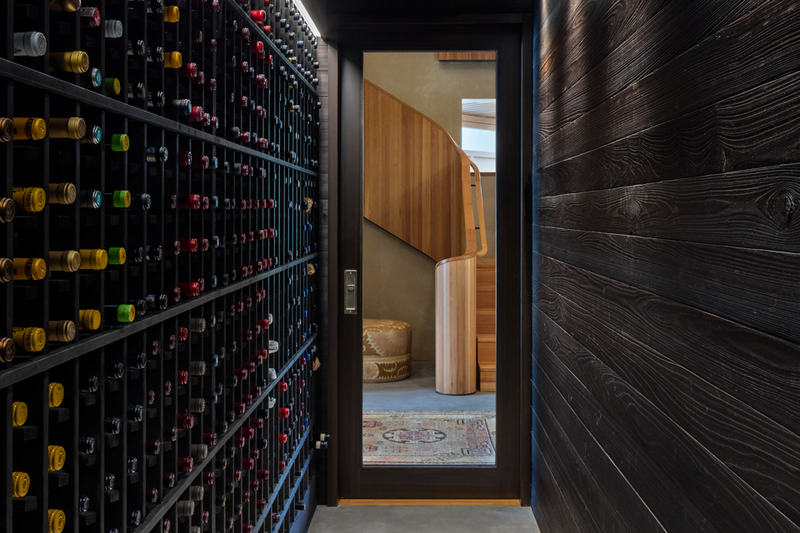 Dana Ranch: a masterplan for a vast Montana ranch, the modest original house re-conceived in the English Arts and Crafts style. 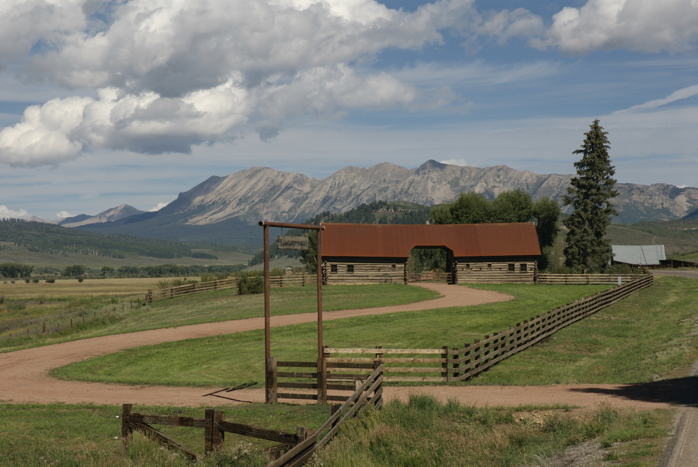 Anthracite Ranch: a 7000 acre ranch in the mountains of Western Colorado, landscape for 26 buildings. 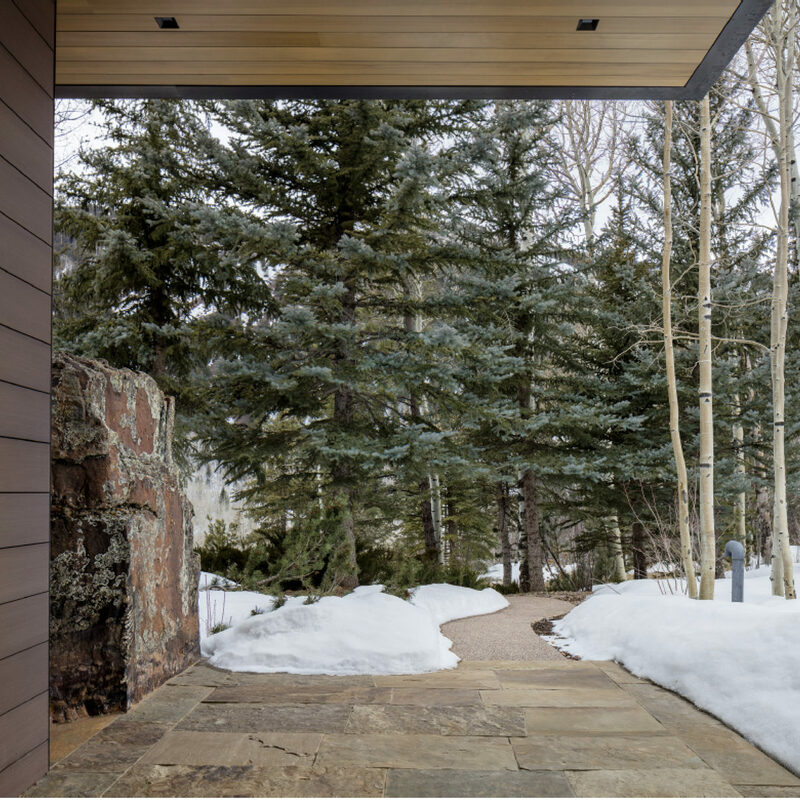 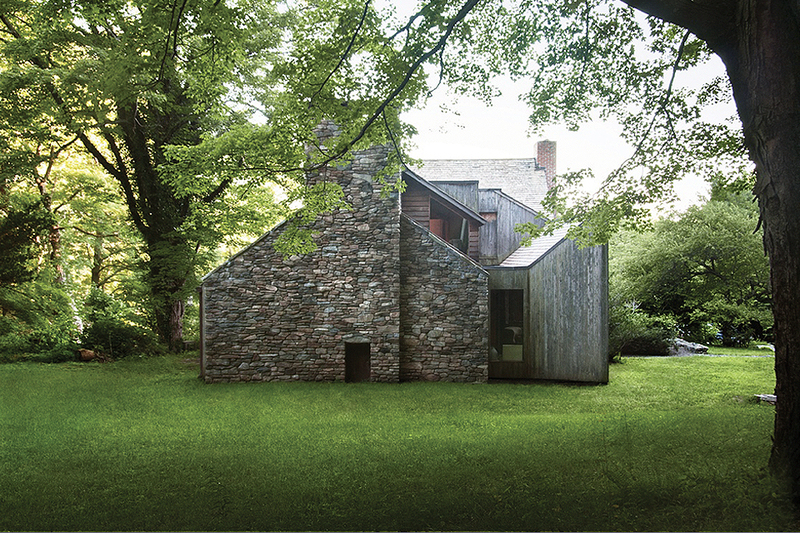 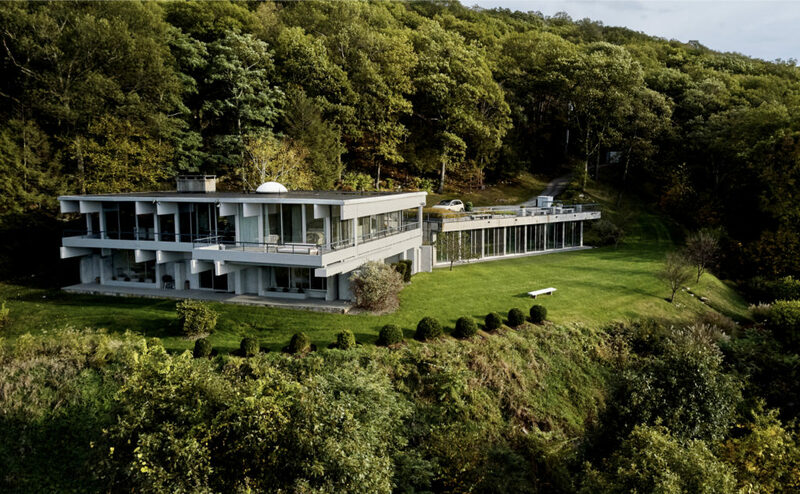 The intersection of landscape and architecture: A threat of avalanche from above coupled with a desire to diminish the mass of the house as seen from a nearby view corridor literally led to an integration of house and land. 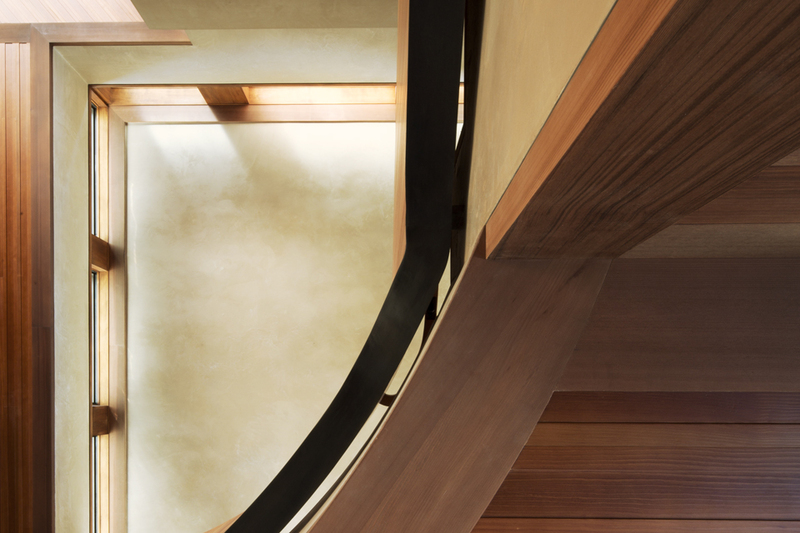 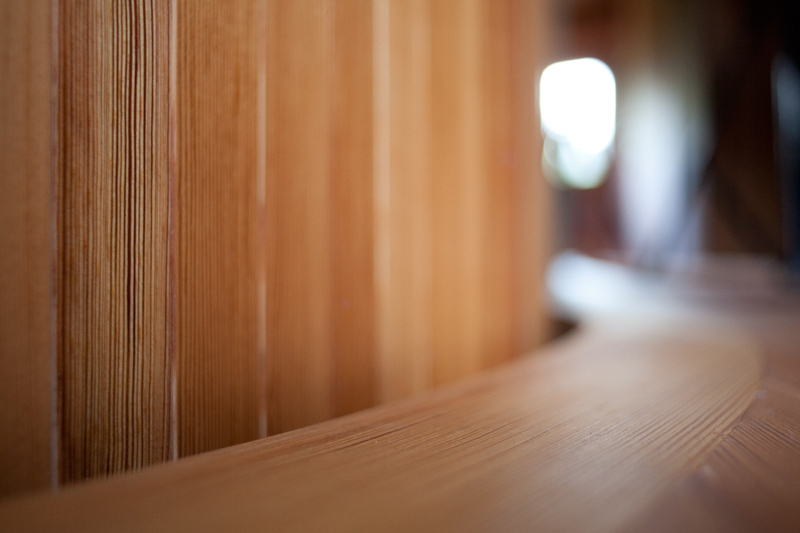 Modestly-sized spaces along with simple materials perfectly crafted together create a warm, livable home—a contrast to the grandiosity pervasive in the region. 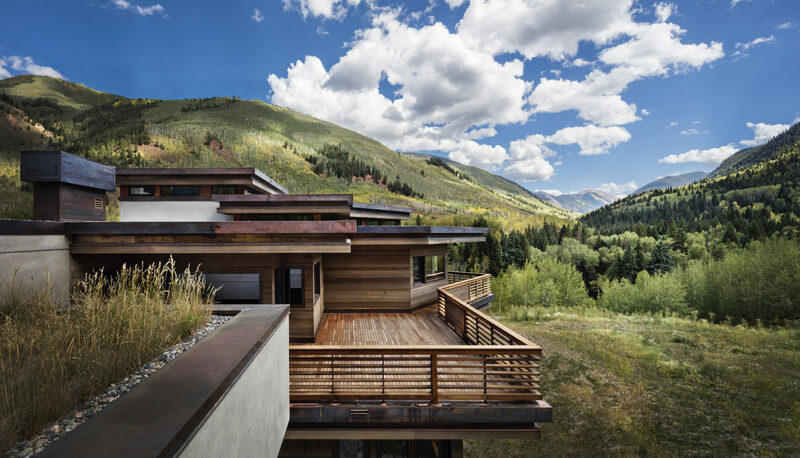 As this exceptionally beautiful site came with a signiicant threat of avalanche, we designed the home to step up and into the hill, merging a heavily — engineered structure into the land itself to delect any possible destructive event and at the same time, make the intersection of architecture and landscape indistinguishable. 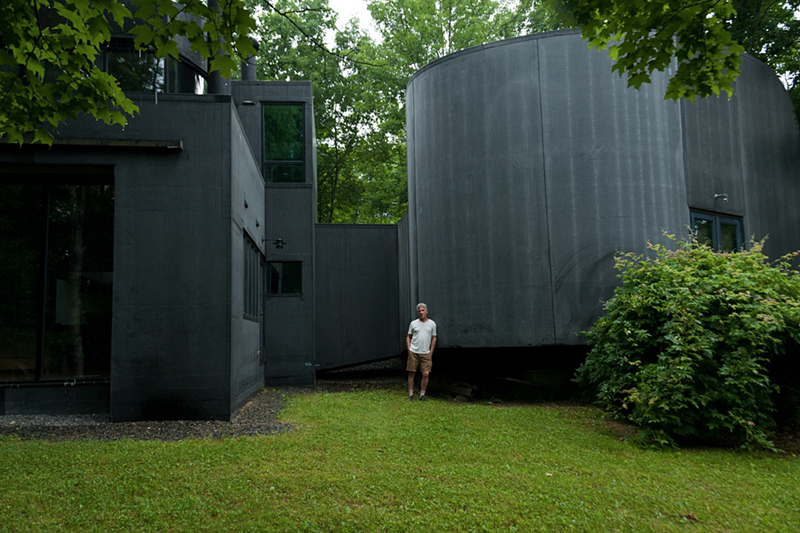 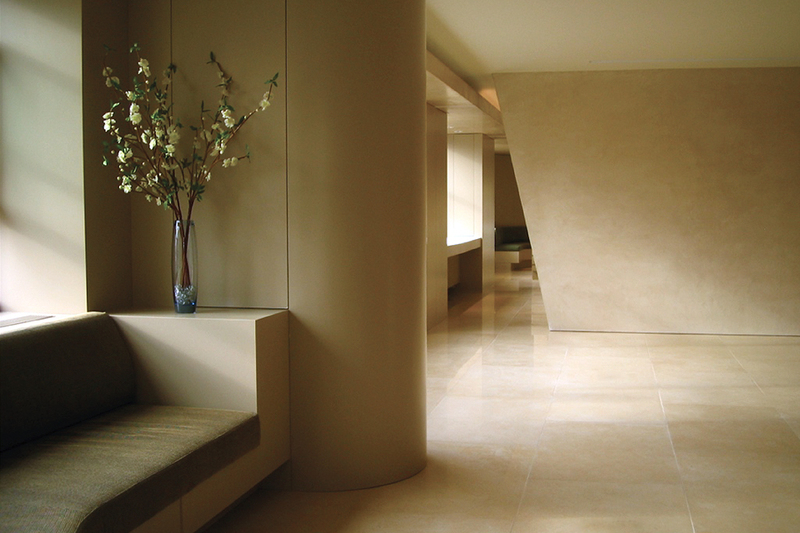 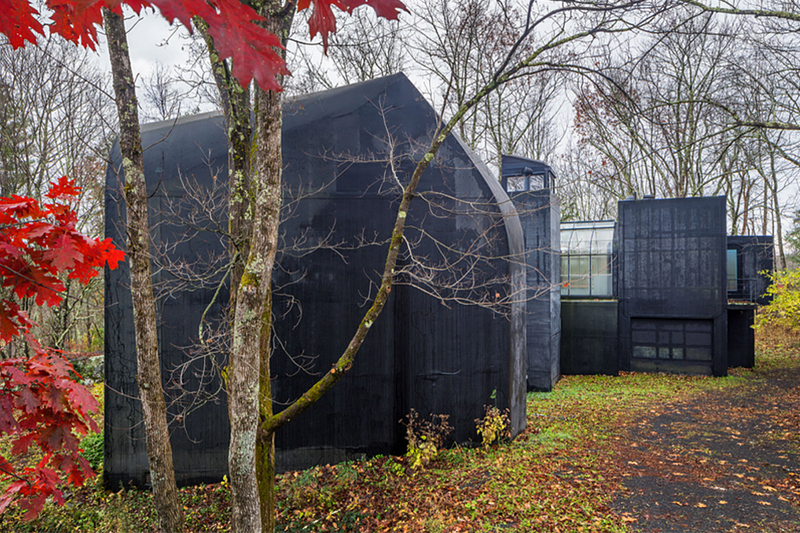 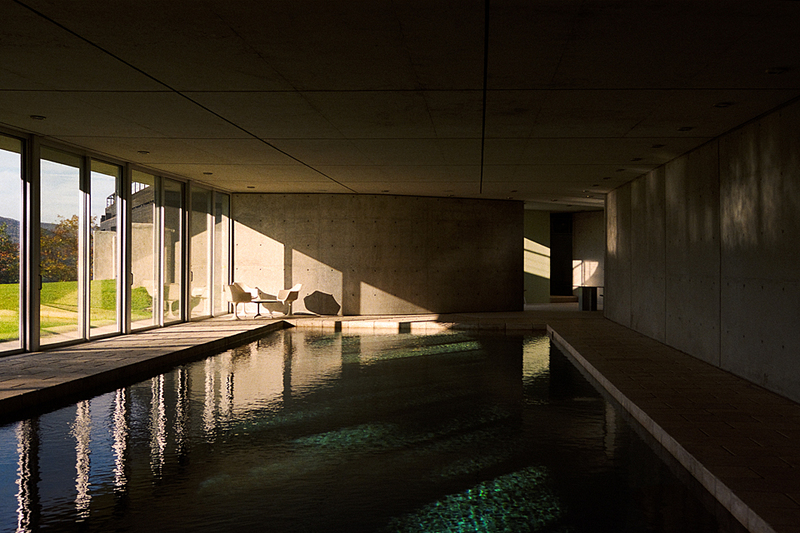 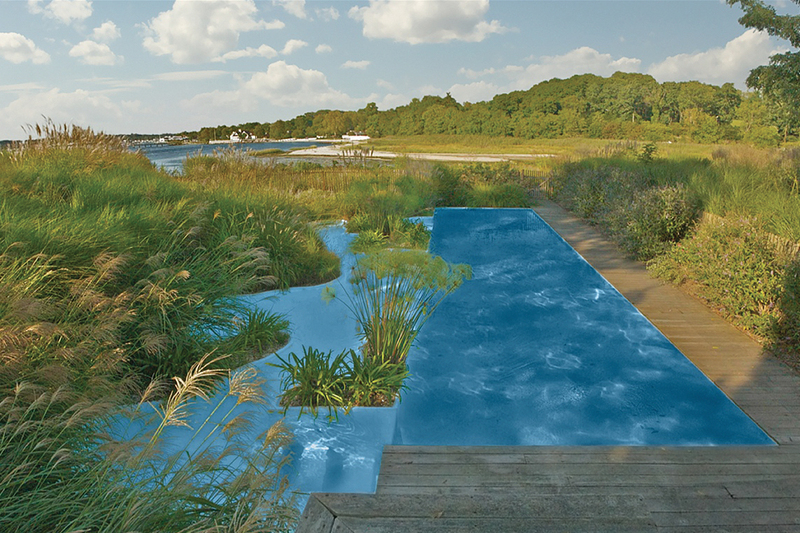 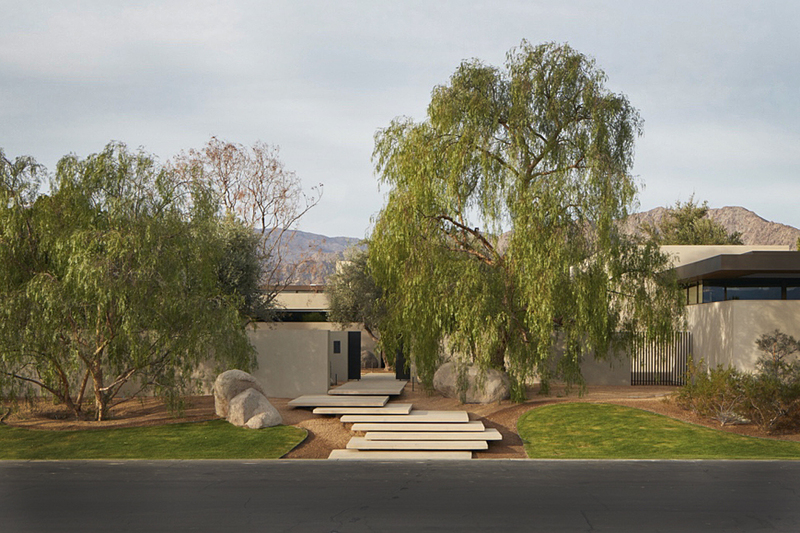 Many years of work went into creating an expansive setting for this monumental project. 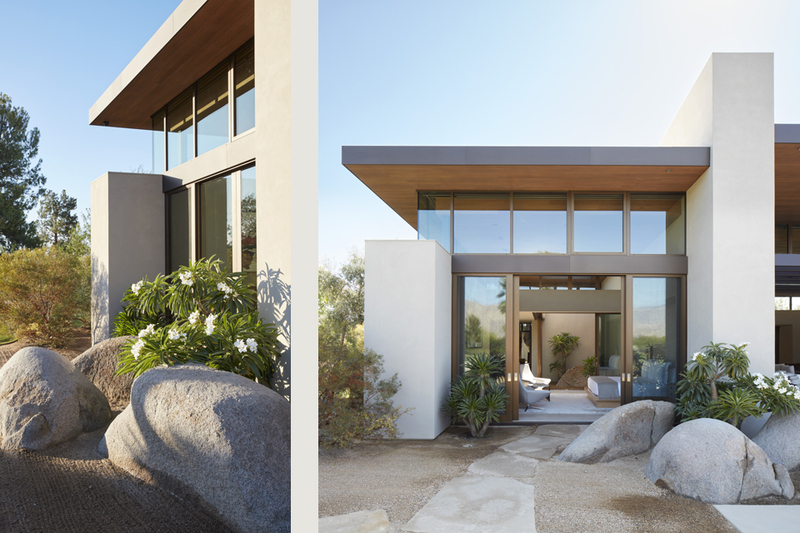 Seven large boulder installations – including a wrap-around grotto for the spa –provide subtle, rustic context for the many outdoor living and entertaining spaces, visually connecting the site with the nearby cliffs and rocky peaks. 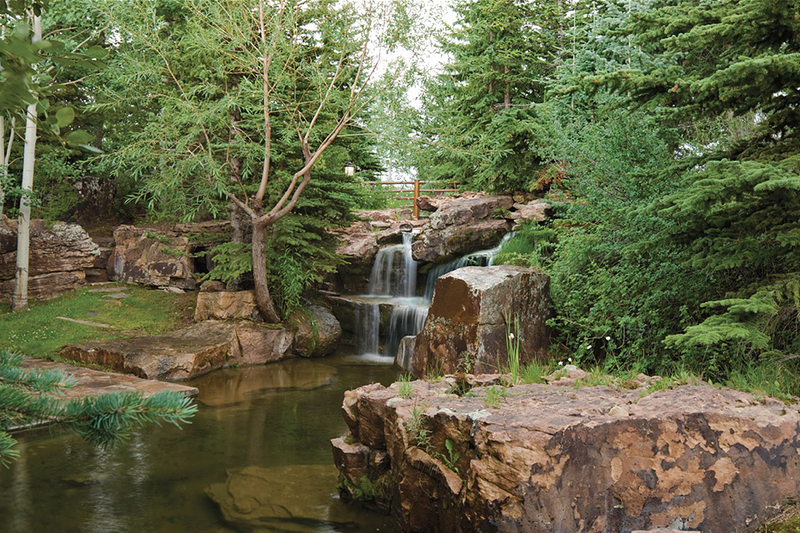 A large new pond and stream surrounded by lawns and meadows, aspen groves and stands of spruce and native flower gardens result in an elegant park-like setting for the Charles Cunniffe designed home built by Hansen Construction. 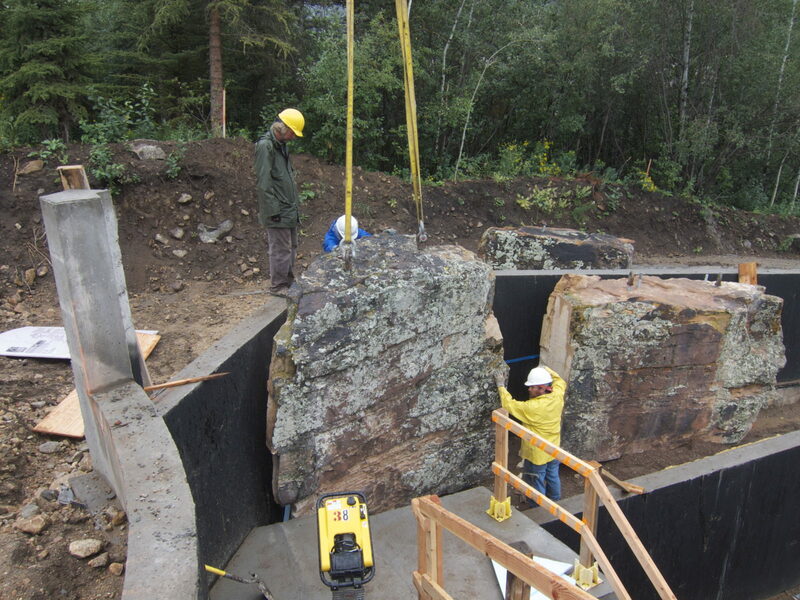 A massive sandstone rock face interrupts a large section of the veneer retaining wall. 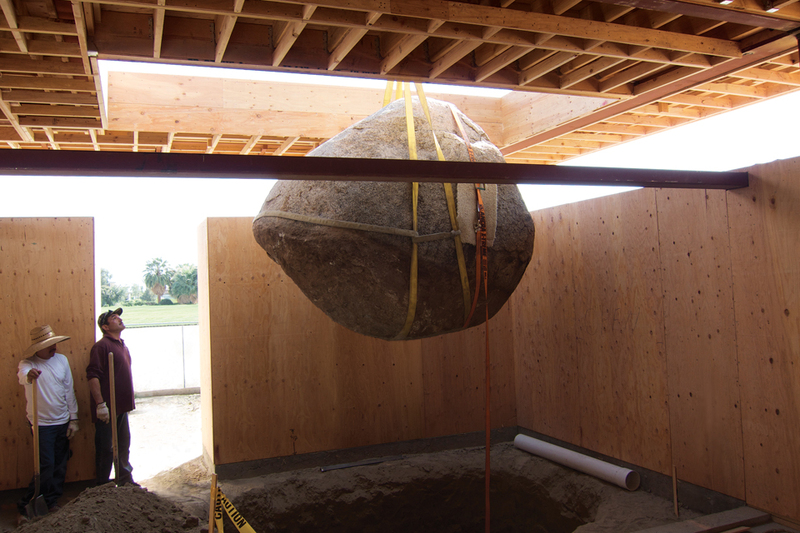 Looking like an existing outcropping, it was sourced, extracted and installed by Madderlake. 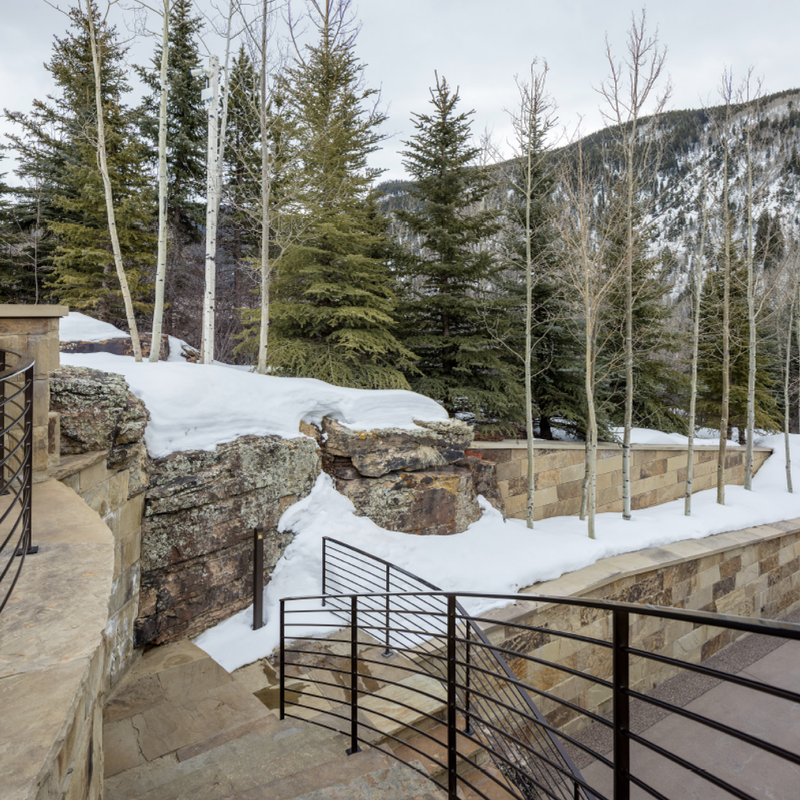 A 9′ x 24′ sandstone rockface was pinned together, carefully extracted, cut in half, then transported to the site where it was craned into place and restored, creating this massive rock wall. 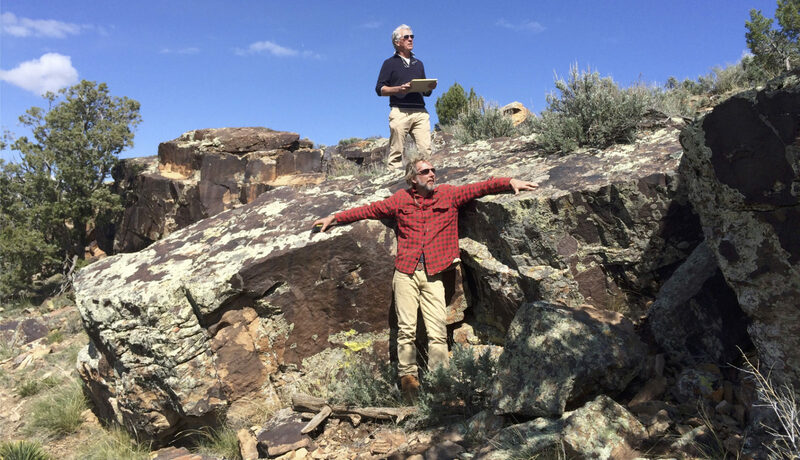 Madderlake principals Tom Pritchard and Jody Rhone scouting boulders in Western Colorado. 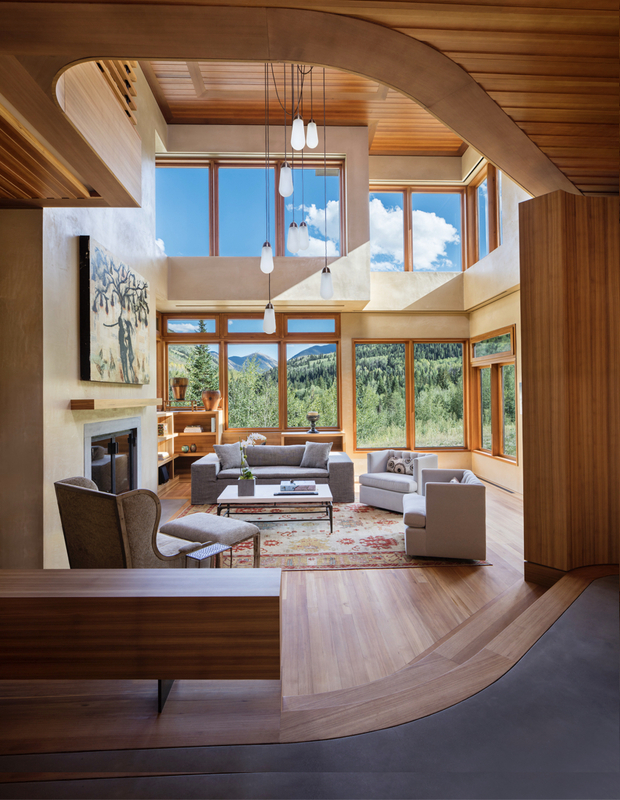 Most notable among the many projects we conceived for an expansive and spectacular ranch in northern Montana was our restoration of the long-neglected homestead house. 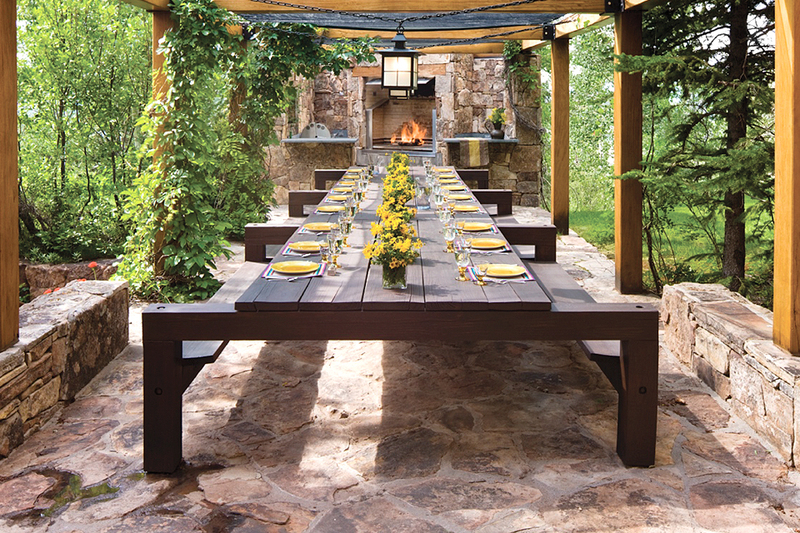 Set within a majestic grove of ancient cottonwoods and surrounded by charming sheds, barns and cabins, we redesigned this single family house to become an entertaining destination evocative of the 1920’s, with four en-suite bedrooms, vintage kitchen and butler’s pantry, breakfast porch and formal living and dining rooms. 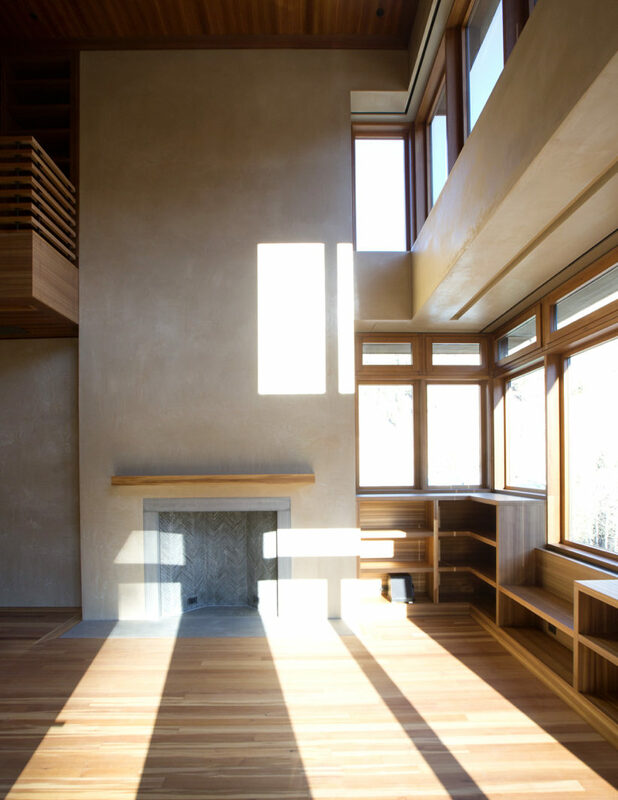 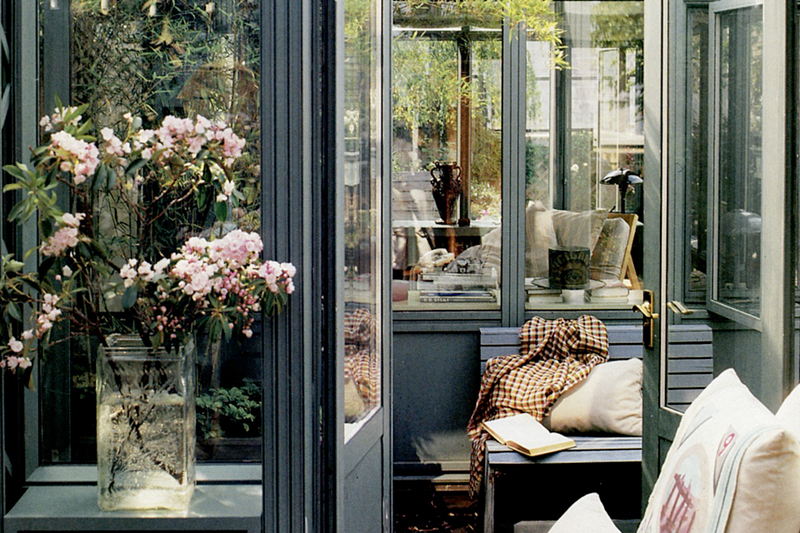 A sun-filled breakfast room and reading lounge. 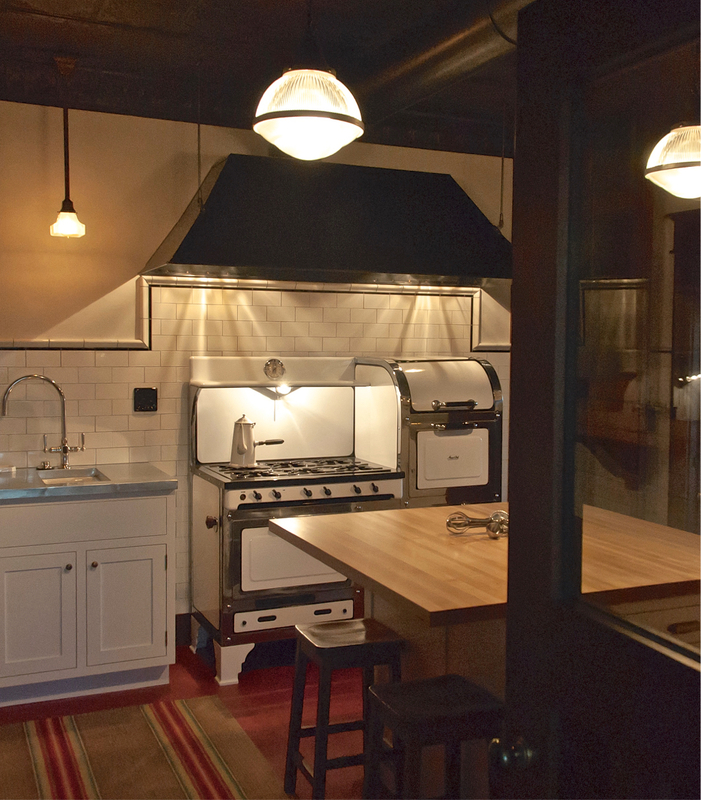 A beautifully restored 1928 Magic Chef stove anchors the all-new kitchen replete with vintage design cues including the linoleum floor, it also incorporates camouflaged modern appliances. 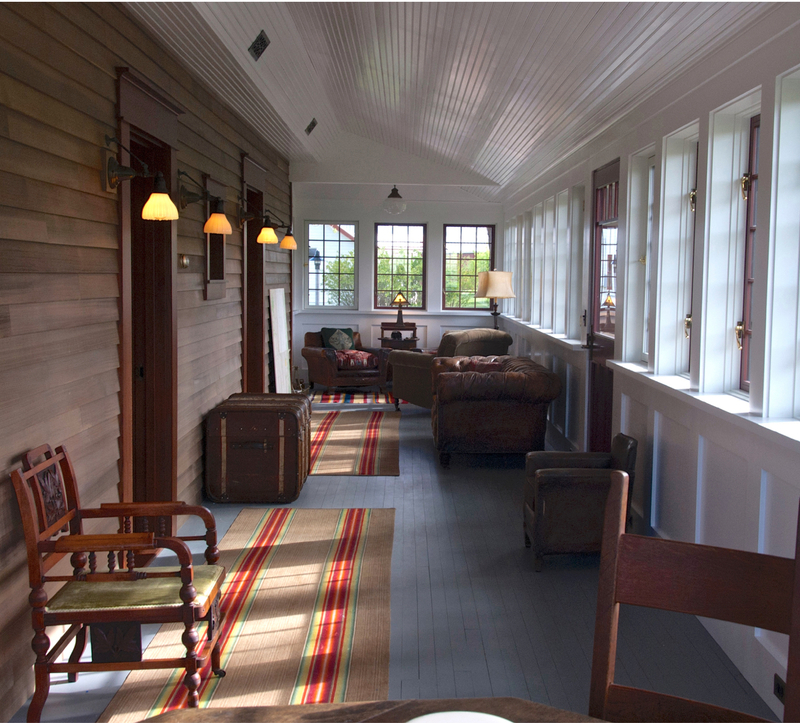 New architectural elements for the old homestead: a full front porch, a clerestory window bringing light into the living room, a bay window seating area and a mudroom and back entrance just behind. 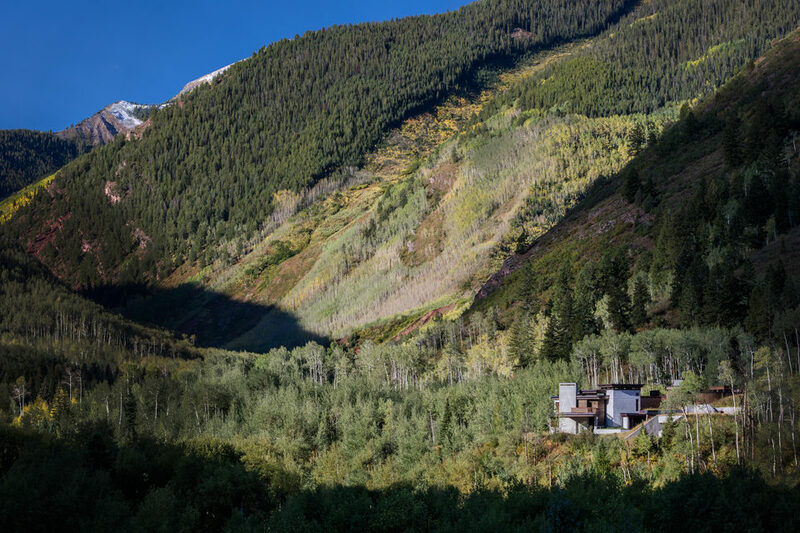 By far the largest landscape project we have tackled to date, the Anthracite Ranch—7,000 acres of cattle ranch and alpine forest in a spectacular high altitude valley—had been badly over-grazed and needed restoration. 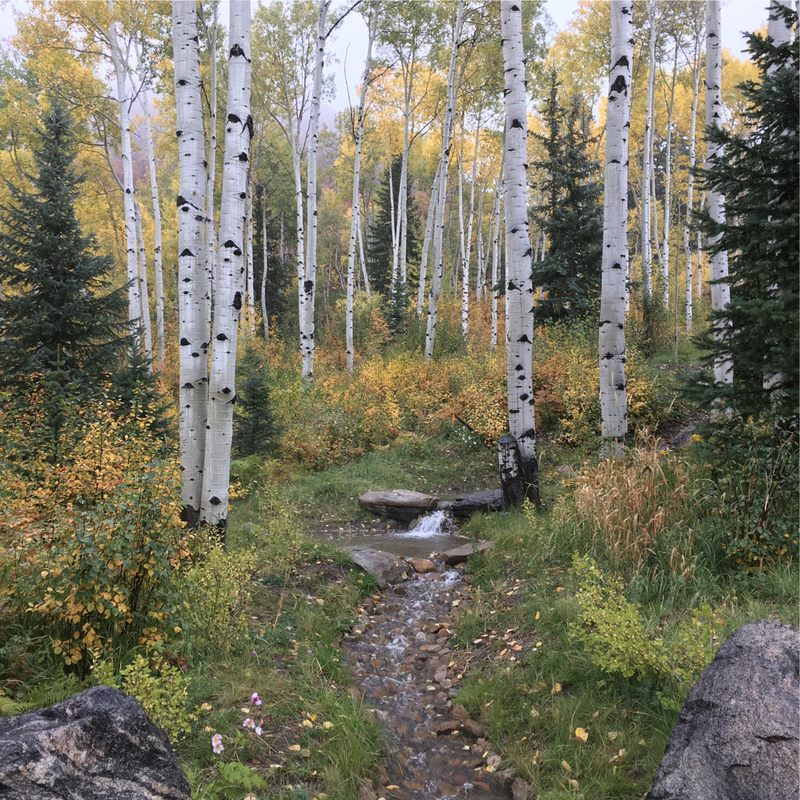 Starting with roads, bridges and other infrastructure, we then moved on to restoring three miles of river to gold medal trout habitat. 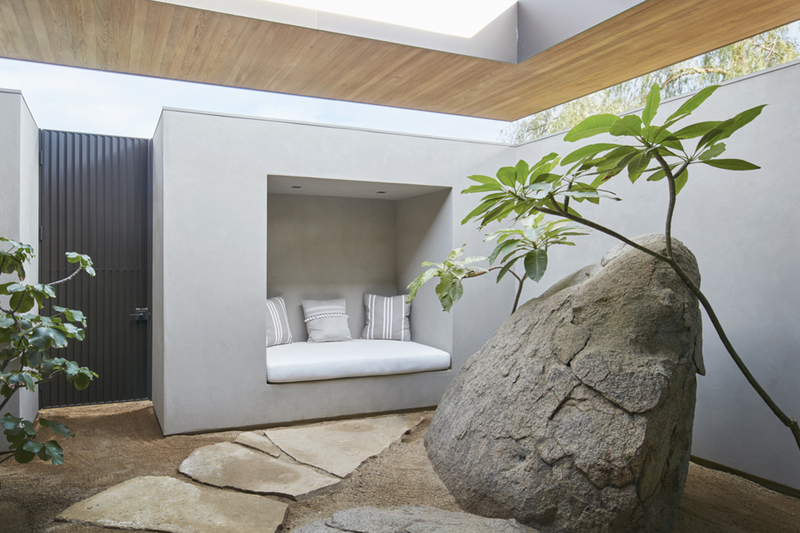 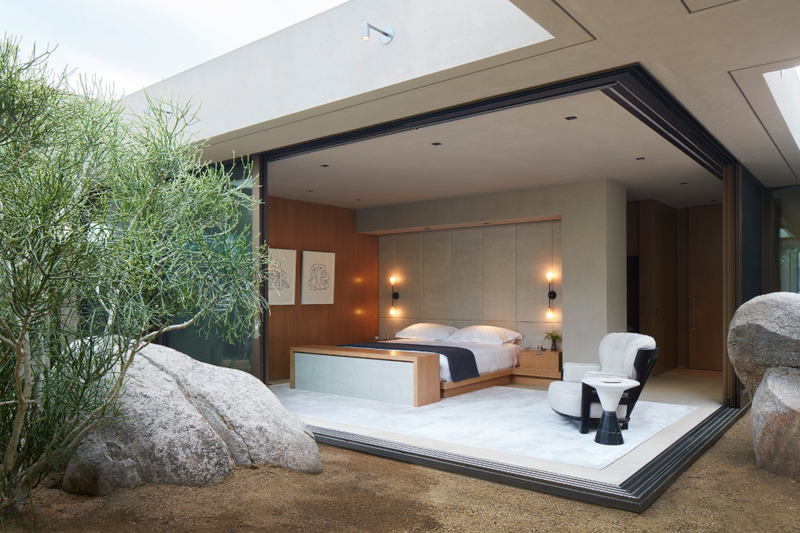 In addition to numerous buildings that needed landscape settings, the main house gave us the opportunity to create a signature boulder work—an outdoor grotto at the end of the main living room. 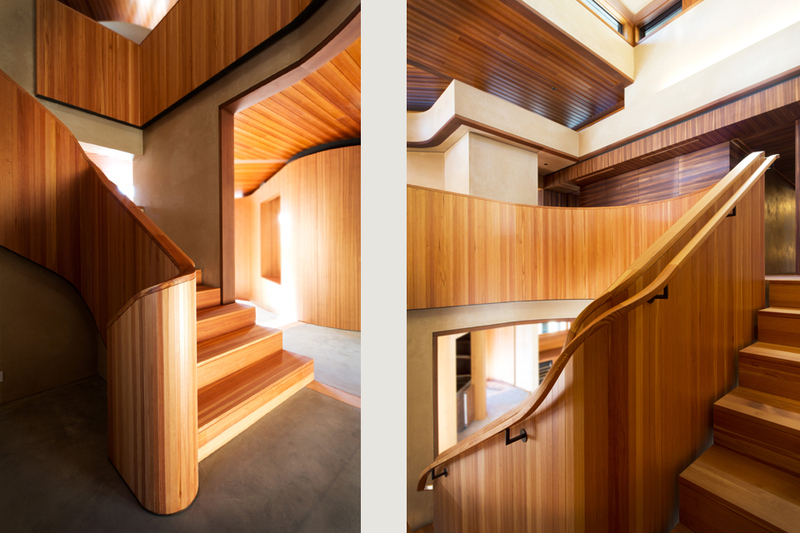 Forest rehabilitation, large tree transplants, swimming pool, tennis pavilion, campsite and a stone horse trough in the main courtyard are a few of the other features of this all-encompassing project. 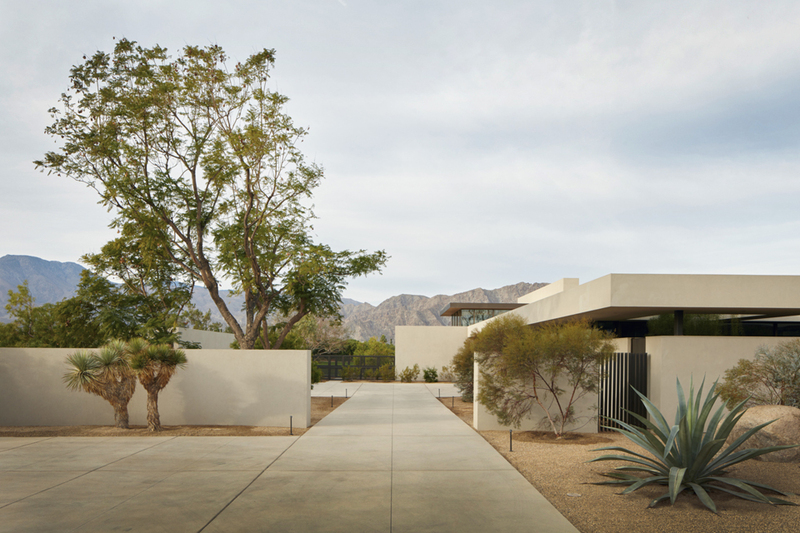 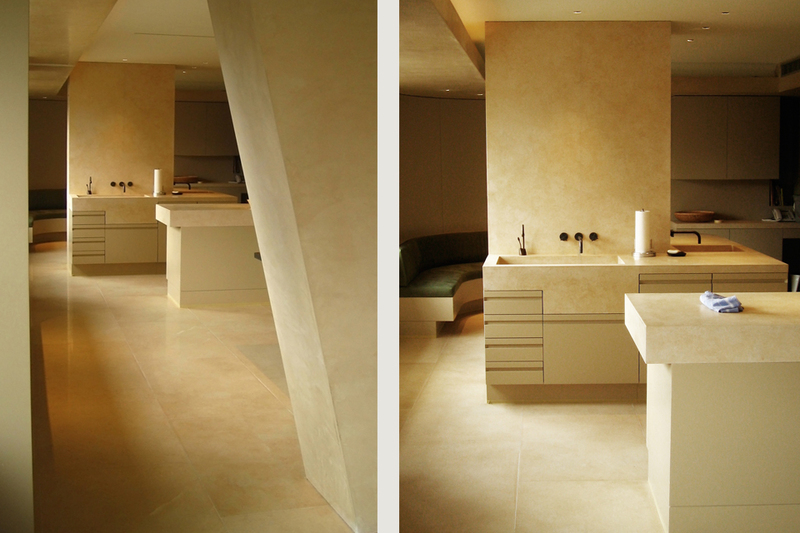 A small sampling of the project was published in Architectural Digest. 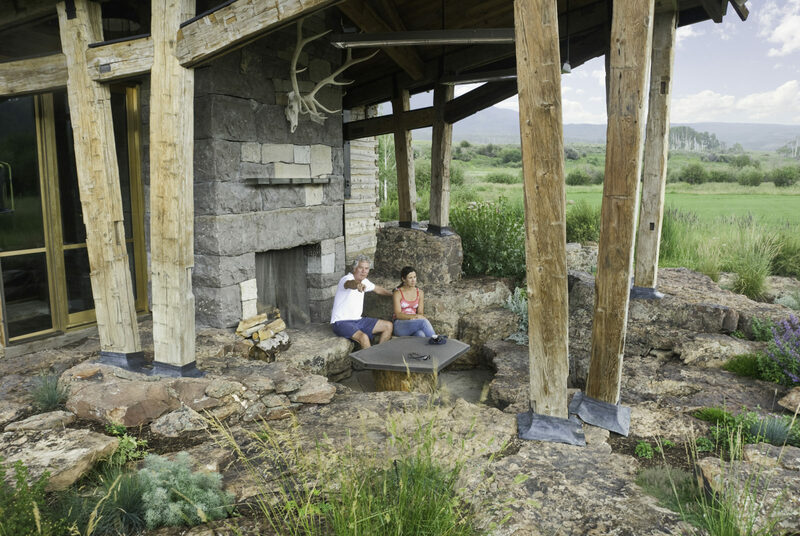 The ledgerock amphitheater surrounding an outdoor fireplace at the end of the living room feels pre-existing—but was completely created. 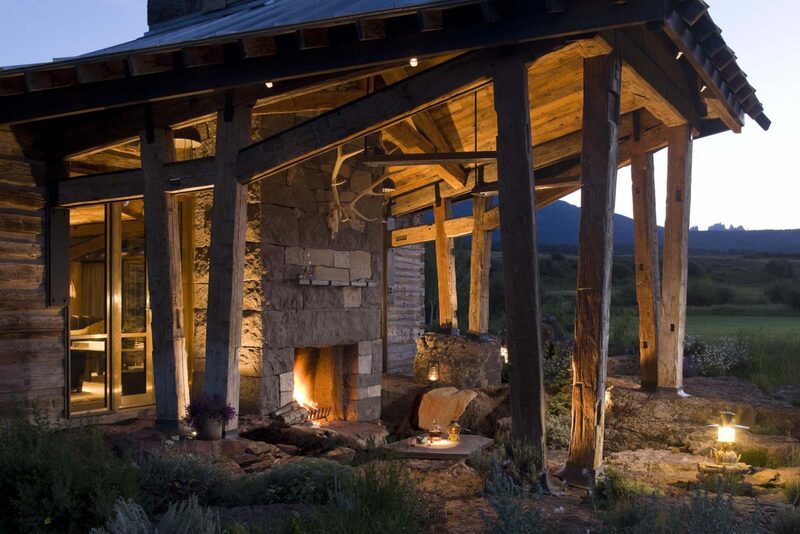 An old barn was rebuilt, then repurposed as a visitors entry to the mile and half drive to the house. 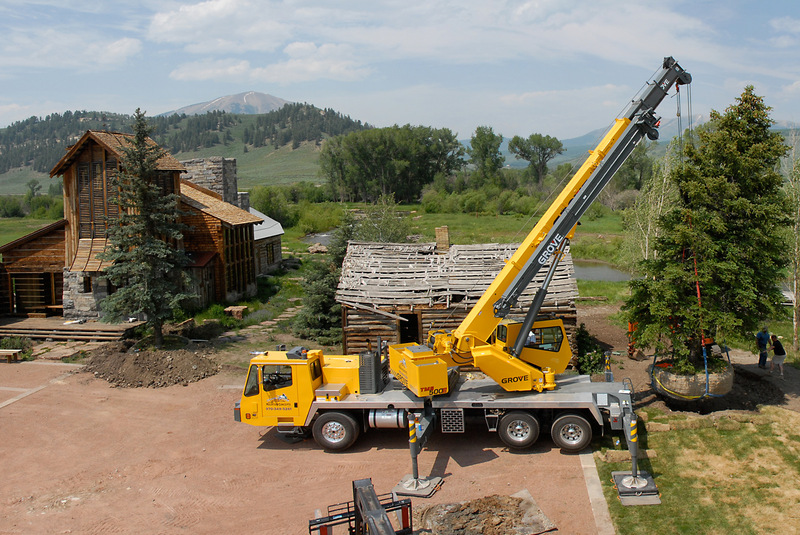 With 7,000 acres to choose from, finding a great Engelmann spruce was the easy part; getting it there was a different story.